This publication is a cyclostyle-print. 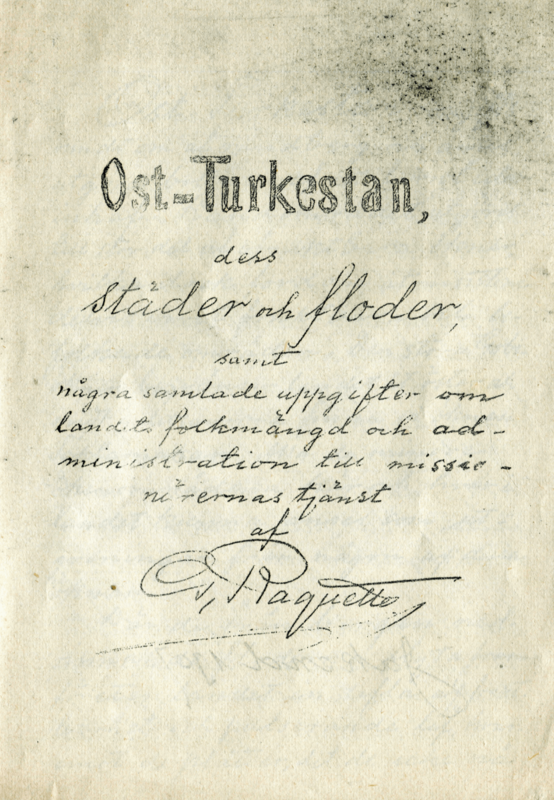 Two years after it had appeared from the Swedish printing-office in Kashgar, this piece (1907:1) was translated into French by H. Bourgeois from Belgium. The new title was Notes sur l’oroghraphie, les villes, la population et l’administration du Turkestan Oriental. It was printed in 1909 by Bruxelles Typo-Lithographie Générale at Place de la Maison Rouge. See Bourgeois’ translation here.